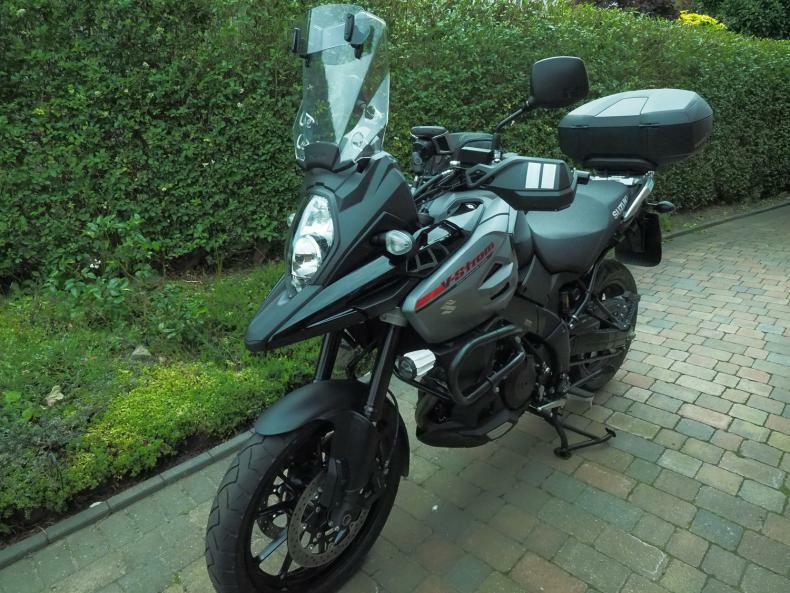 Stromtrooper Forum : Suzuki V-Strom Motorcycle Forums > Popular Forums > DL1000A - 2017+ > The windscreen and buffeting thread for the 2017+ DL1000, the only one! I got a reply from Givi in Italy today and there will be a new AF for the 2017 DL1000. - "The specific accessories range is in realizations. Monitoring our site in the next weeks for all infos"
Last edited by WeeSwe; 04-13-2017 at 05:39 PM. And the story is the same. Is it the same even with DL1000? 2017 screen looks less curved and a little taller, it should provide less buffeting and more wind protection compared to stock 2014-2016 screen. Sounds like the 2014+ screen is different from the 2018 DL 1000 screen in part numbers at least. I wonder about whether the mounting pattern is the same? Do you have part number for 2017+ stock screen? I was thinking to try it on my 2015 Vee, but local dealer still doesn't have any info on 2017/18 models. 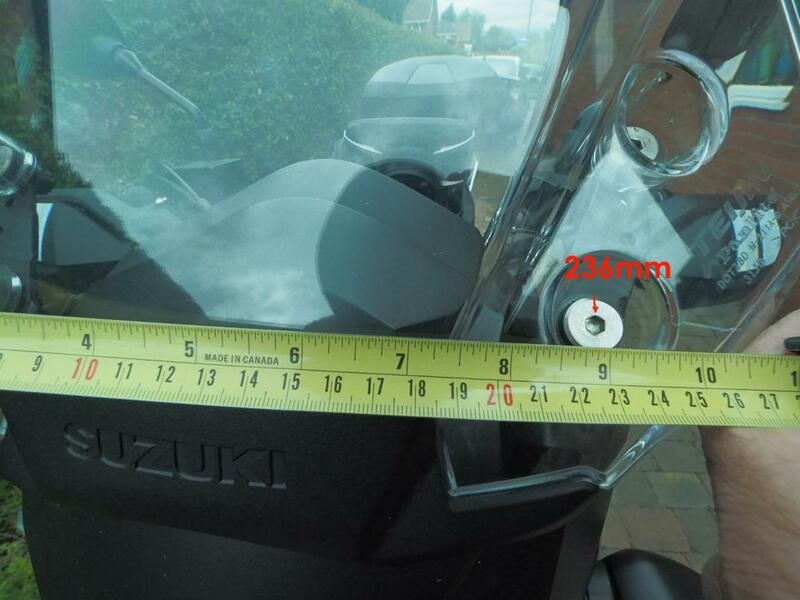 Some measurements of the 2017/18 Strom 1000 screen. The visor comes with template to drill the holes and buttons to go over the screws. 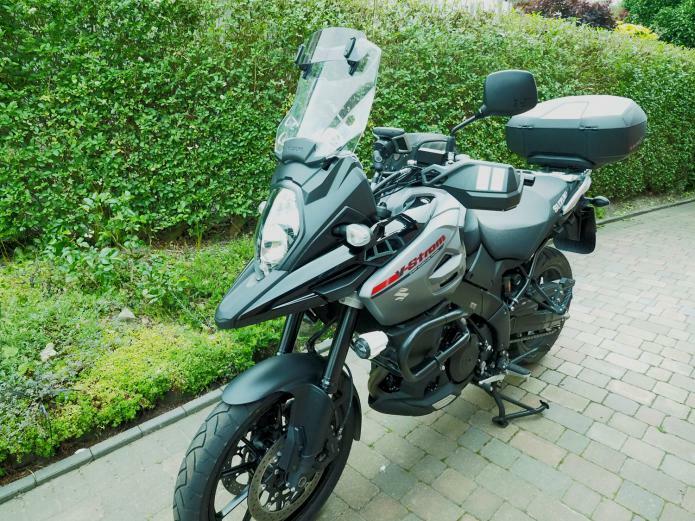 Just picked my 2018 vstrom 1000 a few days ago. I find the buffeting ok but find it a little noisy. Does Suzuki make a taller screen to fit this bike. I had an MRA screen on my last bike (an AT) and that worked well. The adjustable lip made a big difference. 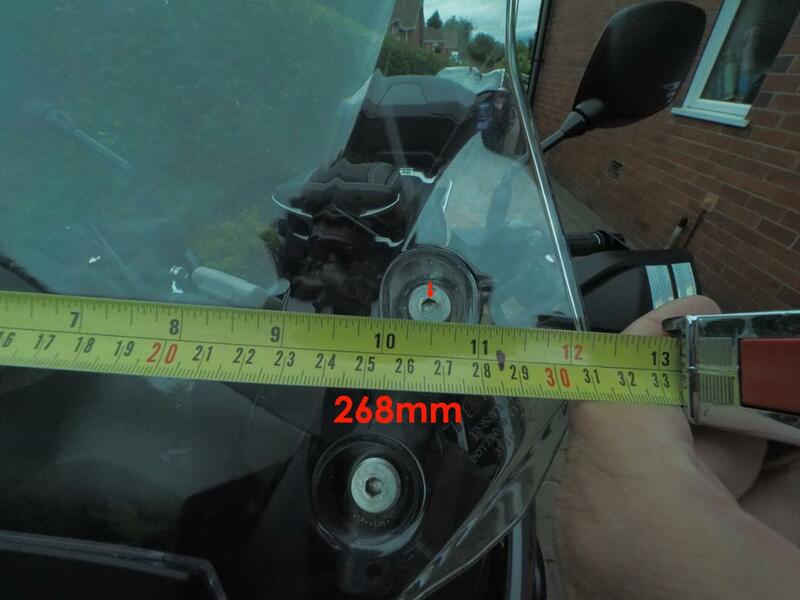 My 09 vstrom 650 had a givi and that worked great but was so tall that I looked through the top of it. Bought a givi airflow windshield today. What a difference. No buffeting and quiet. Lrobby99 and MariusD like this. Sounding good so far then. 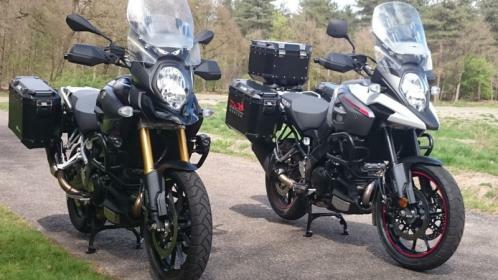 How high are you setting the the Givi and how high on the 3 bike mountings have you got the screen. Some pictures would help. I am not at home right now but I have it mounted in the top holes and the front sliding windshield is approx 1 to 2 inches raised. I run it tipped up in the second notch. It worked fine in the first or lowest position but the added Adventuretech Gps mount makes contact with the dash. Once I find a piece a piece of rubber to put in between the gps mount and the dash, I will put it back in the lowest position. When I return home, I will post photos...if I remember. I can confirm that there are no major changes in terms of buffeting between '14 and '18 models. I just sold my '14 and got '18. 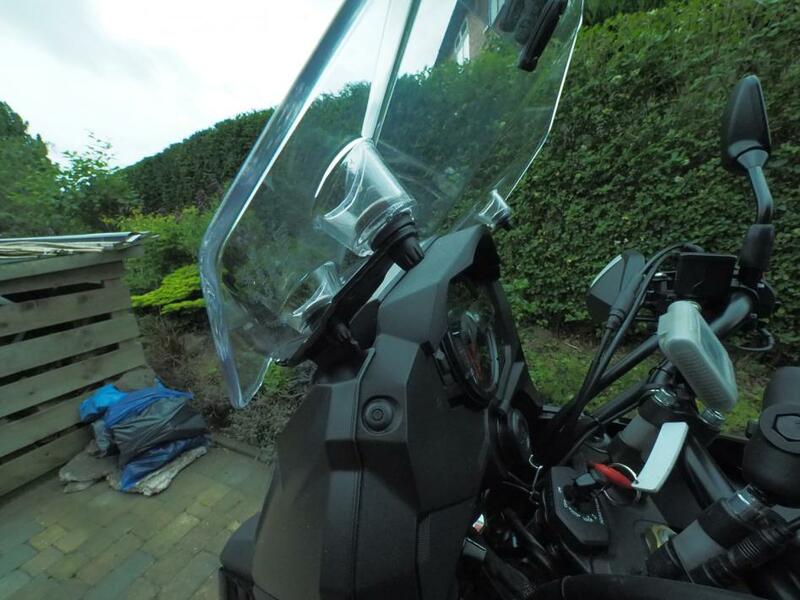 I had to install Givi Airflow and after today's ride I see I'll have to put BMW wind flaps I removed from my '14. Belly wind that was entering my helmet from bellow on '14 and that I have solved with wind flaps, is still there on '18, maybe a little bit less pronounced but still enough to hit my eyes. My helmet has chin curtain but it doesn't help. Last edited by bosnjo; 09-23-2017 at 11:49 AM. Does anyone know if the Givi AF for DL650 2012 would fit DL1000 2017. Looking at givi.com they seem to be different articles, but who knows. Just placed on order on a new yellow 2017 and if the AF is a must I might as well ask them to order it. 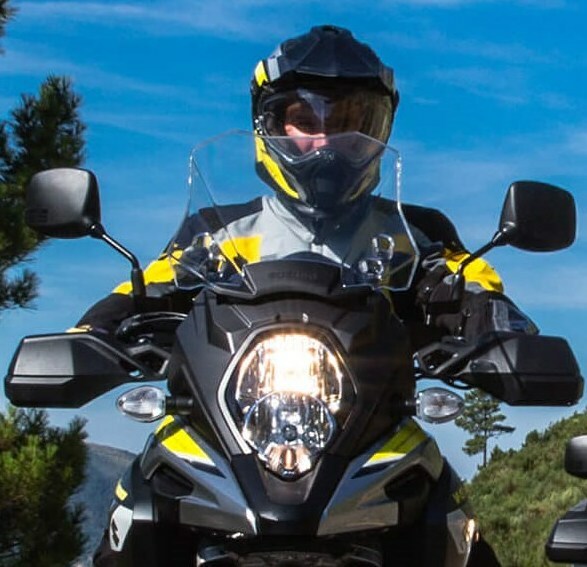 The Givi Airfow from the 2014-2016 will fit the 2017-2018. V-Strom.